Autodesk has released AutoCAD 2018 and AutoCAD LT 2018. As it’s our annual ritual to cover about it, talk about the new features. However, there is one thing missing: Highlight New Features. It’s not available in AutoCAD 2018. It’s a shame because I quite like it. Autodesk probably will not wait for a new version to release the new features now. Autodesk can release it with the updates like in AutoCAD 2017.1. The good thing is now the customers can get the new features faster. However, when the new version is released, you may see less new features than you used to. Autodesk hasn’t changed the file version since AutoCAD 2013, but now AutoCAD 2018 use new file format. It means unless you save the file to an older version, you can’t open AutoCAD 2018 files with AutoCAD 2013-2017. Now let’s see the enhancements in AutoCAD 2018 interface. Overall, there is no significant change in AutoCAD interface. Autodesk used to change the color, icons, and other cosmetics in each version which we don’t need. I prefer this that now Autodesk may spend more time in developing important features. File navigation dialog box now remembers the sort order. 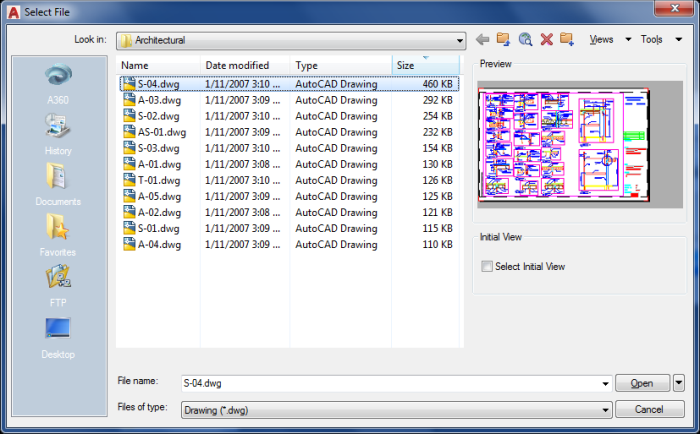 When you open a file and change the sort order (by date, for example) AutoCAD remembers the setting. 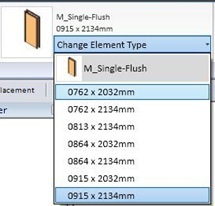 The setting will be the same the next time you open a file, even after you exit from AutoCAD. I am a bit confused about this one. 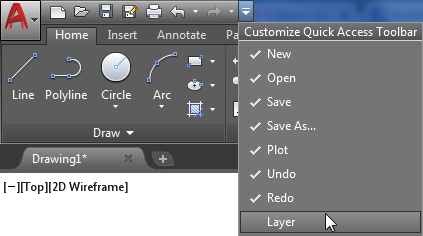 Autodesk says Layer dropdown is now part of the Quick Access Toolbar (QAT) menu. It’s not active by default, but you can turn it on by clicking the arrow and activate it from the menu. I guess the “new feature” is now the Layer is available in the menu. You can show the Layer dropdown in QAT in older version too. It’s just it’s not listed on the menu. AutoCAD introduced System variable Monitor since version 2016. It is a useful feature to let you know something has changed, but you need to open the dialog to restore it. AutoCAD 2018 allows you to right-click above the icon on the status bar and reset the System Variables. 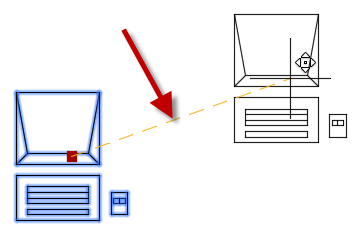 The rubber-band color is now included in AutoCAD display options. Drafting Settings dialog is now can be resized. Autodesk made several dialog boxes resizable, and now the Drafting Settings dialog is included. XREF is the biggest improvement in AutoCAD 2018. The default path type is now a relative path, but this is just a start. In the older version, you need to save the drawing before you can attach XREF with a relative path. In AutoCAD 2018 you can attach it without saving the file first. It’s easier to fix broken path. It usually happens after you copy or move the files. If you open a DWG file with unresolved reference files, AutoCAD will show a warning. You immediately know that you have to fix it. When you right click on a missing file in XREF palette, you can see there are new items in the contextual menu. Select New Path and Find and Replace. If you use Select New Path, you can navigate to the new folder location. 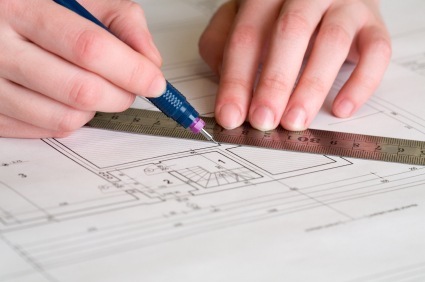 AutoCAD will offer to replace all missing references to the same path. This is usually true when you move the whole folder structure. For example from d:\data\xref to d:\project backup\xref. This process is very quick. If you have drawings with many XREF in it, you will like this feature. Find and Replace is also useful. 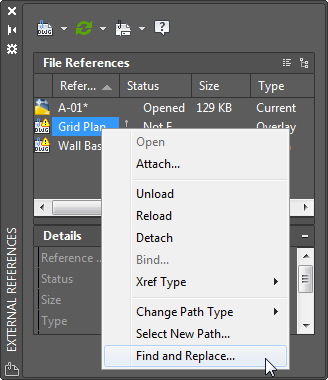 You can select multiple files in XREF Palette and replace the file path with the new one. However, you can do all this in older releases from the Reference Manager. But it is nice to have it as AutoCAD core commands. There are also some minor enhancements in XREF Palette. Several objects are now saved faster. And file save is now incremental, not saving the entire file. Autodesk Seek is now replaced with BIMobject. Autodesk has transferred the service to another company, but the service is the same. Quite surprisingly, the Autodesk Seek search still shows Search Autodesk Seek! iDrop support is removed for security purpose. Do you think the new features in AutoCAD 2018 is good enough? Do they justify the file format change? Remember, if you read it in Autodesk website or blogs, they also list features in AutoCAD 2017.1. as the new feature. I like the 2017.1. and I do wish Autodesk will keep releasing new features in the updates. But when it comes to a new version, I expect a key feature will be on the list. Please share your opinion in the comment section here. I tried to reproduce the problem on my computer, but it seems to work well here. 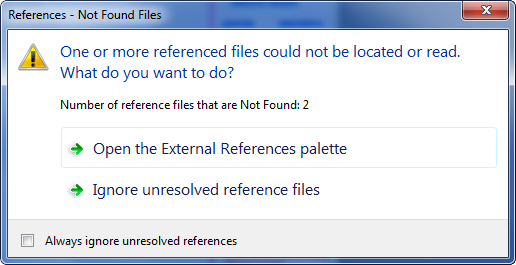 I can attach multiple XREF from XREF Palette and the resolved path remain after I save and close the file. Have you installed the AutoCAD 2018.02 update? Switch Windows gives me quick access to open drawings without the screen space required for file tabs. While not a major upgrade I’ll need it installed before we get a drawing from outside in the new format. AutoCAD Command Line is the most important feature in AutoCAD. Veteran users can use two hands (one on the keyboard and the other using mouse) and draw very quickly. It is faster than relying on the GUI only. The new users probably using GUI more than older users like me. They prefer the Ribbon and use the Command Line less. 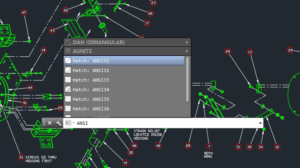 In this post, you can see 6 things AutoCAD Command Line can do to make your life easier. You don’t have to use them all, but at least you know it can be done. If you think it’s good, use it. But if you don’t like it, leave it.